SH Electrical are able to inspect and test your electrical installation to the latest IEE Wiring Regulations (17th Edition). Periodic inspections are used in order to discover if your electrical installations condition is safe and will not affect the safety of the installation. These inspections have standard recommendations on when they should be carried out. 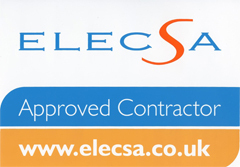 If your installation has not had an inspection within the recommended period then we can identify any potential issues. Cables, sockets and switches can become susceptible to wear and tear. All electrical installations should be inspected and tested regularly to comply with current legislation, and you should take the correct precautions to minimise the risk of electrical malfunction which could lead to injury or death. Since 2008, IEE Regulations – 17th Edition have brought fixed wiring testing into line with European standards.